Food: Don’t expect to be asked how you want your steak done here. All the meat is served on a stone hot plate and you are also give a cold stone plate. 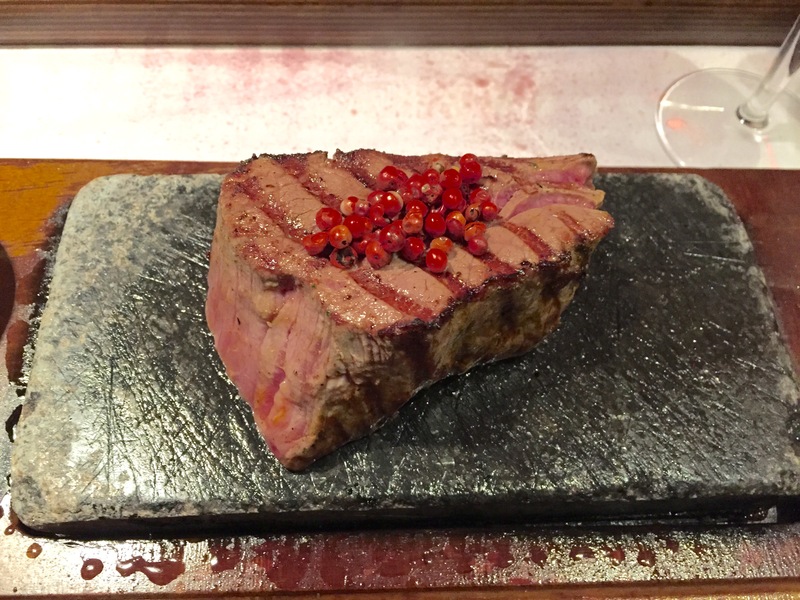 If you want your steak rare, move it from the hot to the cold plate right away. If you want it well done, let it sit on the hot plate for longer. What’s great about this is that you can have half of your steak medium well and half rare if you choose. Just cut a portion and eat it sooner, and leave the rest on the hot plate to cook a little longer. Simply seasoned, and served three different sauces on the side, the beef here has excellent texture and flavour. If you don’t like cow, Rolli’s also has pastas, ostrich and variations of veal cordonbleus. 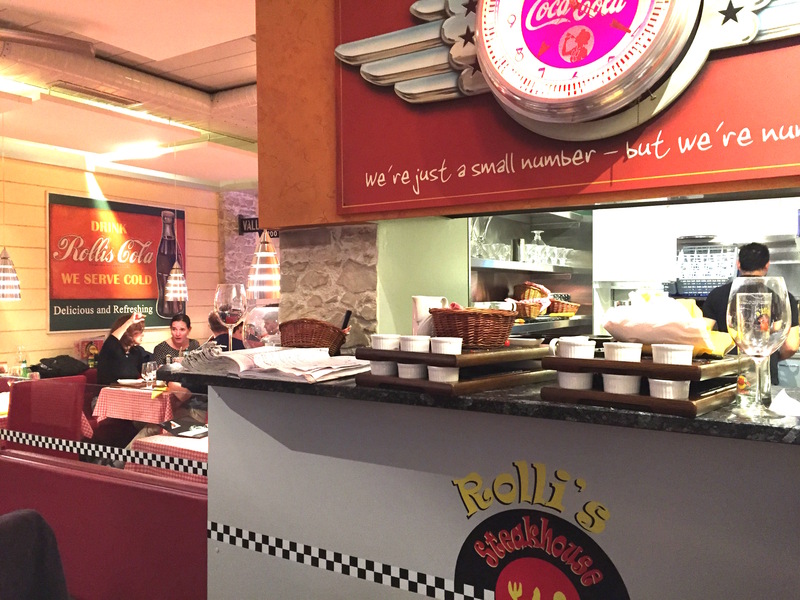 Service: What you might expect at a busy American diner, but with Swiss-German speaking wait staff. 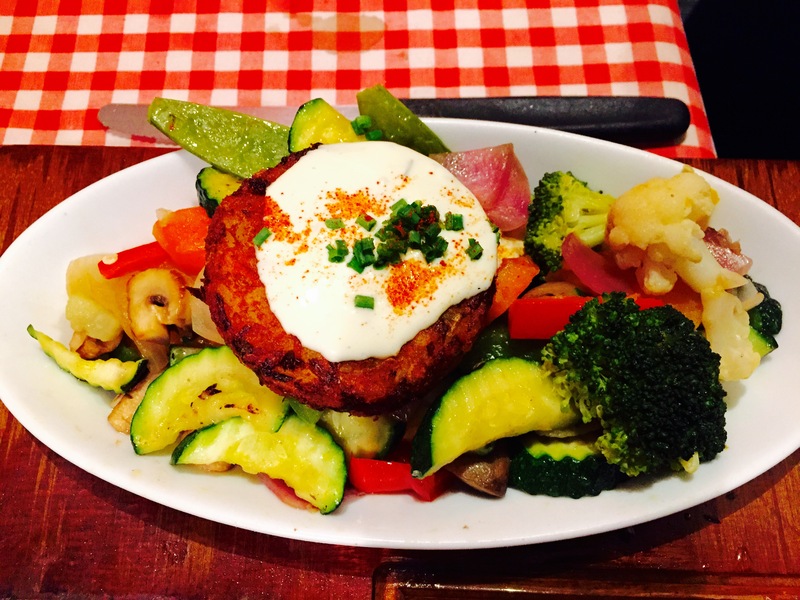 Must try: The steaks of course, which come with a side of vegetables and roesti. Ambience: Like a busy American diner complete with red booth seats and Americana posters. This entry was posted in Eat, Oerlikon, steak, Switzerland, Zurich. Bookmark the permalink.